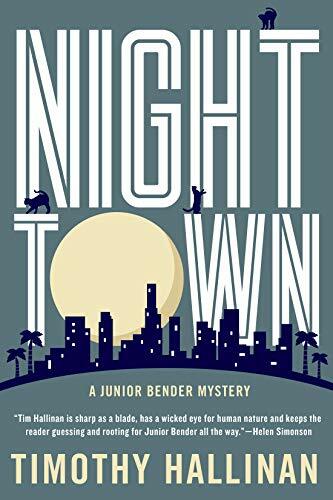 The star of this enjoyable mystery is Junior Bender. Brainy and erudite, Junior is a lovable, charming burglar to readers, but to his circle of friends—other crooks like himself—he's a fixer they can count on. Something needs doing? Something's gone wrong? Call Junior, the Ray Donovan of the crime world. In this seventh, and according to the author possibly the last, book in the series, Junior finds himself in an abandoned mansion looking to steal a doll. Junior's fence has a client who is willing to pay $50,000 for it, and therein lies the problem. Junior knows that no doll however collectible it may be is worth $50,000. He surmises that what he is really being sent to get is inside the doll. In his experience, any time someone is willing to pay more for something than it's worth sooner or later someone ends up dead. He's tempted to decline the job, but he and his girlfriend Ronnie are desperate for money, so against his better judgment Junior agrees to do it. But Junior is not your average low IQ smash and grab housebreaker. In the 20 years he's been doing it, he doesn't have a conviction much less an arrest record. He's an intelligent man and so takes appropriate precautions to avoid the unexpected. For instance, instead of doing the job on the day and time he agreed to, he goes the day after to avoid an ambush. Or rather the night after. What follows is validation of author Hallinan's incredible ability to wring the absolute best out of a sentence in a way that grabs readers and doesn't let them go until he's good and ready to. ". . . The house was noisy, in the way only an all-wooden house that's more than a century old can be . . . every join, plank, beam, and nail was feeling its age and complaining about it . . . Horton House made so much noise that I was having trouble listening around and through all of it for the sound of something human: movement, breathing, snores, whatever. The place was supposed to be empty. . .
". . . more disagreeable than the darkness and the noise—was its smell . . . a sharp-edged stink that could only be really, really old paper and I was willing to bet that my little penlight, when I felt secure enough that I was alone to turn it on, would show me the original wallpaper, more than a century old, clinging for dear life to the walls. . . The place absolutely hummed with malice." ". . . All the creaks, shudders, and groans were just old wood, nothing that couldn't be explained by the contraction of an arthritic old house . . . I also smelled tobacco—not fresh, but the indelible nicotine funk given off by walls, rugs, and furniture that have been marinated in cigarette smoke for years. The place was dark and noisy and it reeked . . ."
The chapter goes on like that, interspersed with Junior's (Hallinan's) interesting and entertaining tidbits of useful as well as useless information. Junior regularly interrupts his search (and every thought and conversation that follows) by adding addendums that expand, illuminate and clarify the topic at hand. Readers won't be able to stop themselves from going along with it, so don't even try. In addition to the fabulous writing, you'll get an education, too. Like how to read an empty room; how to improve your vision in the dark; how to breathe silently; how to avoid creaks and cracks when climbing a staircase; and other good to know burglar essentials. Listening to Hallinan at a recent book signing at the Poisoned Pen Bookstore in Phoenix, it was almost like seeing Junior Bender in person. Tall, thin, worldly, and scholarly looking himself, Hallinan admits that there are elements of Junior Bender in him. Except for the life of crime, of course. Light on plot—in the author's own words his books are character driven rather than plot centered—but heavy on enjoyment, this is a not-to-miss mystery. Hallinan is easily one of the most entertaining crime writers in the business today.